This 23,000 sq ft aquatic center includes 8 lane lap pool, therapy pool and kids splash pad. 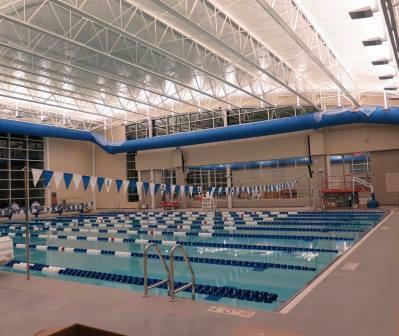 Unlimited use of the aquatic center is included with the Gold membership. All pool users must wear proper swimming attire. Open swim & lap swim times available with daily, monthly and three month passes offered.